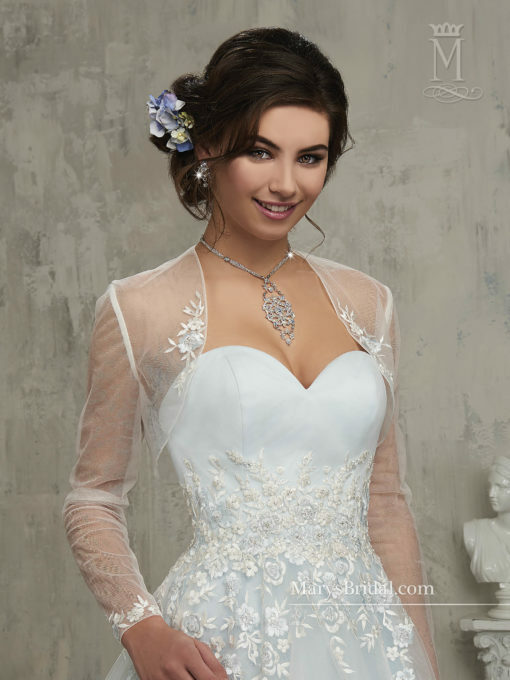 Embroidered gown with a sweetheart neckline and chapel train. A-line gown perfect for quinceanera or wedding. 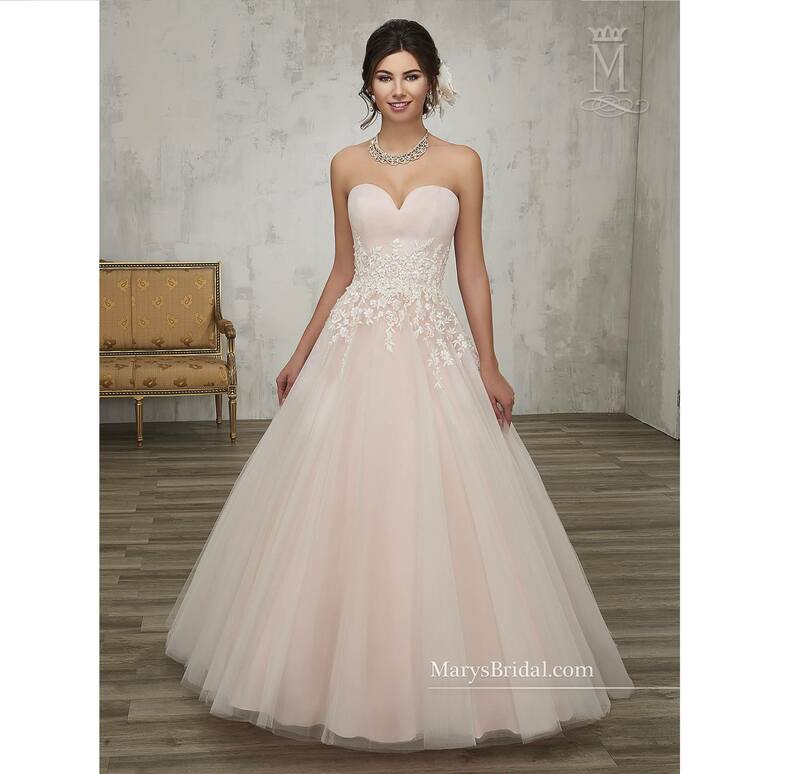 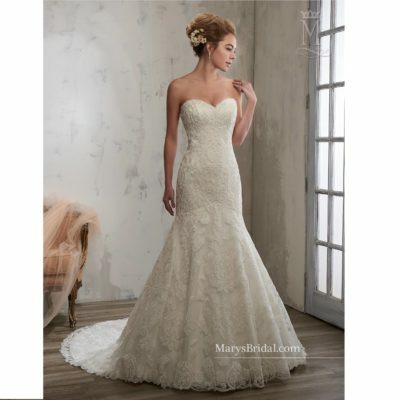 Features a strapless sweetheart neck line, embroidered floral design, zipper closure and chapel train.